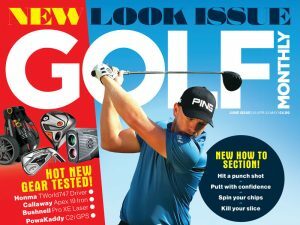 Big Max is a relatively new brand to many UK golfers. Its heritage lies in the premium push trolley market where it is actually the most-used push trolley brand in Europe but how do the Big Max Aqua bags perform? As the name would suggest, the Big Max Aqua bags range has been created with waterproof protection uppermost in mind. From the largest model in the family, the Tour, to the most compact, the 8, they are seam-sealed to be 100% waterproof. The Tour is a cart bag and features all the storage you could possibly need for 18 holes. From umbrella holder to cooler pocket, everything has been thought of. The Drive and Sport are slightly more compact cart bags. They feature the same 14-way divider to protect your clubs but are a fraction lighter – just 2.4kg for the Sport version is light even by carry bag standards. Finally, the 8 is ideal for those who want be able to carry everything they need. At just 2kg, you can pick it up with just your little finger! The Big Max Aqua Bags range are their fourth generation and they continue to impress. The waterproof protection is simply superb and no matter which size you opt for you’ll get plenty of storage to house everything you could possibly need. One thing that really surprised us was just how light each of the bags was. If you are using a trolley, that means not having to man-handle it too much during the round, if you’re carrying the benefits are obvious. Another benefit comes as Big Max has decided not to over-design its bags – you often see modern golf bags with so many different pockets its hard to remember where anthing is. All design features have been introduced with the needs of the golfer very much in mind. Of course, this performance comes at a cost – the Tour is £219, the Sport is £199 and the Drive and the 8 are both £189. However, if you are prepared to make this investment you’ll get a great-looking golf bag with an intuitive design that offers as much protection as it does storage. Very impressive! The Big Max Aqua Bags might be a new name to many of you but this is the fourth generation of this product and the designs are incredibly lightweight and offer excellent waterproof protection.